Campground is CLOSED until further notice. WWII unexploded ordinance was found in the area. ---- From I-95 Exit 148, go west on Russell Rd 6.5 miles to Lunga Park entrance sign. Turn right on J. Edgar Hoover. Pull into the parking lot on the left and check in at the office or General Store. Active, National Guard, Reservists, Retired, 100% DAV. DoD Civilians at Quantico, FBI and DEA at Quantico. Allowed with normal leash and cleanup rules. 10 day per month stay limit. 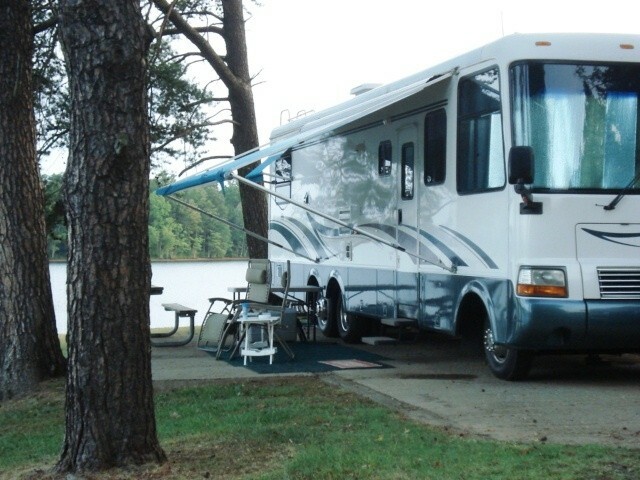 Some RV sites have 30A and 50A. Higher rates listed are for DOD civilians. Campground is CLOSED until further notice. Seems they have discovered a lot of unexploded ordnance from WW II. 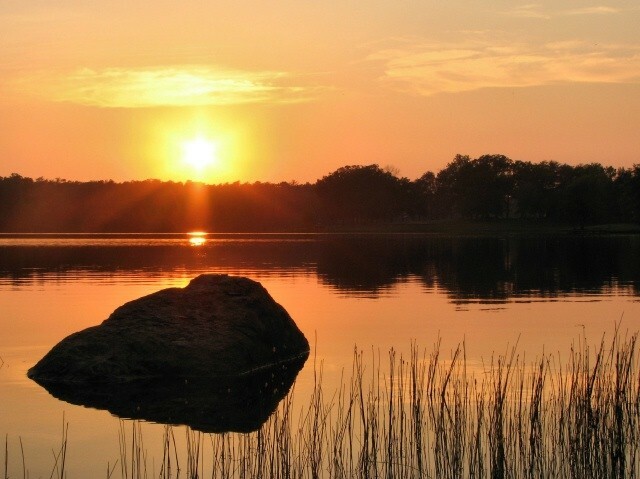 Lunga Park offers beautiful camping year round. 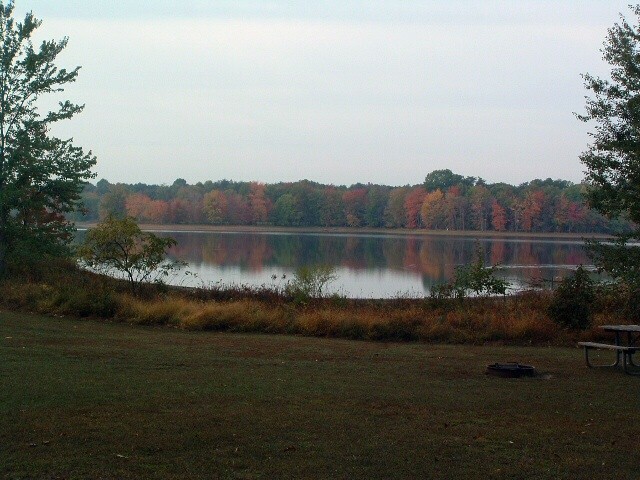 Campsites are scattered along the eastern shoreline overlooking or on the lake. Deer, raccoon, squirrel, and fox abound in the surrounding forest. Beaver swim the lake building huts at the water edge and a pair of eagles nest at the upper end during the winter. Watch the mist rise off the lake in the morning as the sun comes up and hear the geese honking their way to the south end each evening at sunset. We absolutely loved our stay at Lunga Park. We were in Pine 37 with our full hook-up pop-up. We were there Nov. 6 thru 8 so it was cold and the park was almost empty. The mist over the lake in the mornings was amazing! I rated the amenities/facilities as a three due to the fact that the restrooms are either outhouses or port-a-loos, plus there are no shower facilities. All that is fine if you are in an RV but if you are tent camping it could be an issue. We will definitely come back here again. 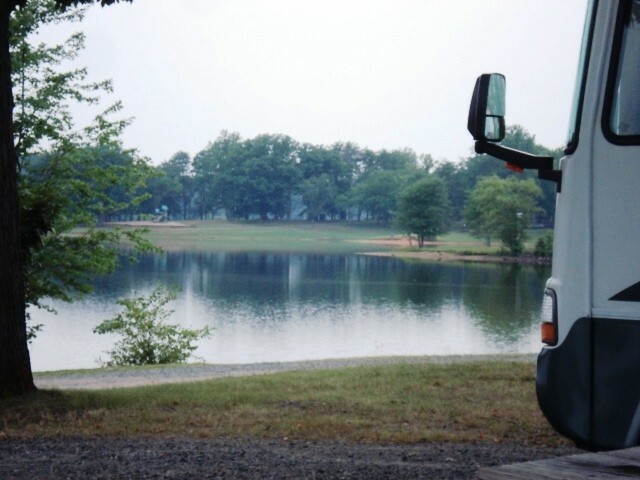 Superb campgrounds, very clean and the folks that work at the office will do anything they can to make your stay comfortable, a truck comes by each morning to pick up trash along the roads. I actually saw the lady that works there step out of her vehicle to pick up a piece of plastic someone had thrown out.If you have stationary satellite, I would not recommend staying at the Oak Area, it is a heavily tree area. The best sites are 12 and 16 in the Cedar Area and 36,37,48 and 49 at the Pine Area. Great Commissary and Exchange can be found at the main side of the Base along with many other amenities. Security on the Base is very high so make sure that everyone has ID cards and be ready to be boarded for inspection. Overall an outstanding camp. WHAT A GREAT CAMPGROUND!!!! 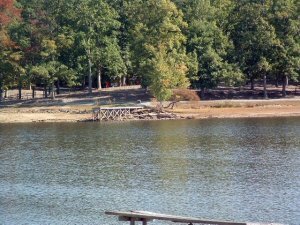 We wanted to visit the Washington DC area and do some sightseeing and Lunga Park was the best campground to do that. We were amazed at the amount of traffic on I-95 ALL THE TIME! So, we took the Virginia Railway Express (VRE) train from Quantico to Union Station in Washington DC ... then walked outside to get on our "Hop On, Hop Off" tourbus for the Washington DC tour. No traffic headaches. This campground is without doubt the best military campground we have ever stayed at. If you are planning a visit to Lunga Park, ask for Site 37 (the best site in the campground) or Site 16 (the second best site in the campground). [The last 4 pictures are of our RV on Site 16 and Site 37, respectively.] We experienced "brown out" conditions while on Site 16 and our 50 Amp surge suppressor saved the day. Recommend you get one if you don't have one. The lake is beautiful and the wildlife will amaze you ... deer are everywhere. The Marine Corps Base Exchange and Commissary are also fantastic. The MCB is 8 miles from the campground, so it was inconvenient when you make several trips to and from the campground to the MCB. While there, we visited Mount Vernon and it was great. As was the Marine Corps Museum. You can buy all of your tickets at the MCB ITT office for sightseeing trips. I give this campground our highest rating. The staff was very nice, too. What a gorgeous campsite. 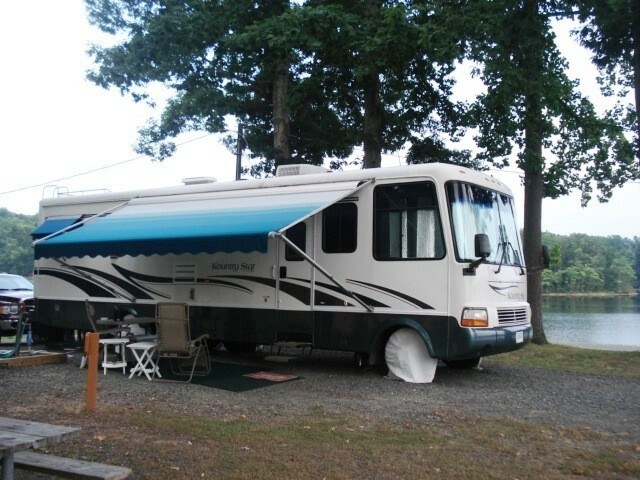 The base is very camper friendly and most sites are big rig compatible. 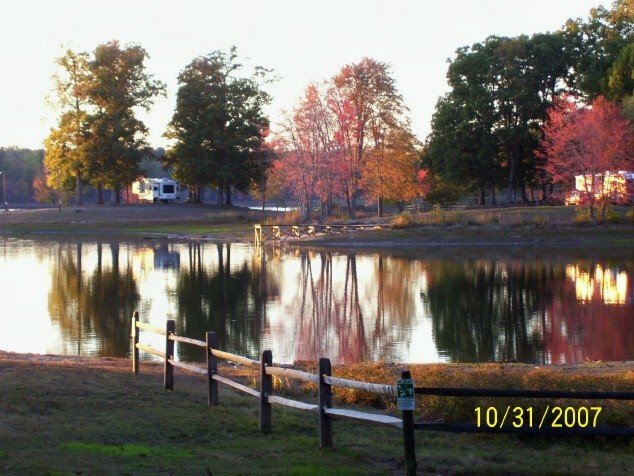 The RV sites were first constructed in the 60’s and the upgrades were evidently done by non-campers as the utilities are located in a manner for ease of installation not ease of use. Some of the sites with “sewer” hook-ups are actually dumping to a holding tank at the site so be mindful not to overfill it. We pulled in with our 30’ class A pulling a 24’ enclosed motorcycle trailer and we didn’t have to unhook during our stay. The deer, foxes and turkey are plentiful so be careful driving. J.J. left this review using the Directory software: Made reservations about 2 months in advance and asked for satellite friendly site. Upon arrival the girl checking me in was so concerned about feeding herself candy and paying attention to what her co-worker was doing behind her, that we got very little in info. My directions to the site was a map thrown at me and the words, "It is the first one on the right" period. I was assigned to Cedar 2, could not see the sky for trees, had two wheels off the ground trying to get level. I talked to a fellow camper who had sponsored a friend into the campground and he was assigned to one of the best sites in the entire campground. His reservations had been made 3 weeks prior. The worst part was the acorns. Acorns were falling off the trees above our site and they fell 24 hours a day. The fell at such velocity that they made holes in my air conditioner shrouds. There was no other site to move to. Beware of this problem during the fall months. Overall it was an acceptable experience but could have been much better. 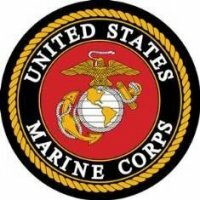 Overall a nice place to camp and close to DC as well as the Quantico Marine Base and the new National Marine Corps Museum. Campsites are large, the one I was on had concrete and was level, Pine 1. The problem with campsite is that they are set up in an odd way to take advantage of the utilities. Make sure you bring extra hose and power cable, some of the utilities may be hard to reach with normal length cords & hoses. The beautiful deck overlooking the lake at our site was at the wrong side of the camper. The roads are fairly level and have few potholes but into the campground is dirt and gravel, dry conditions made it very dusty. Deer were plentiful, especially in the evening and the horseflys were large enough to carry a small dog away. No shower facilities and vault toilets only. We had a good stay here and would stay here again if in this area. Loved this campground. The sites are somewhat rustic and it took some maneuvering to level the unit, but I've seen much worse in commercial campgrounds. Assume the risks of camping in the rough, but with full hookups! Our biggest problem was the large horse flies that are in abundance due to the deer population. Repellents work. 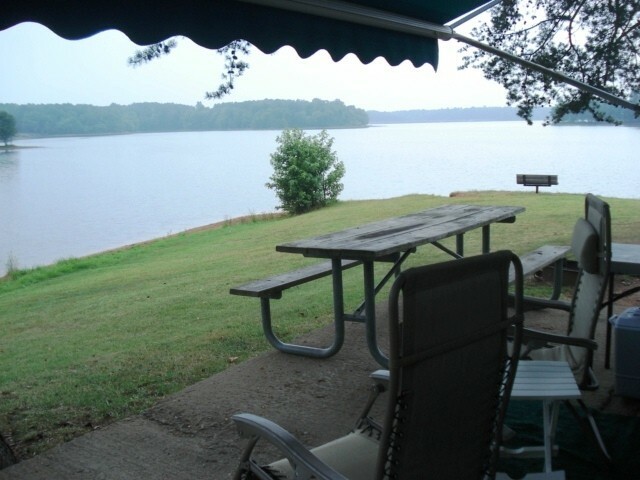 The store has rentals for the lake including bait, motorboats, kayaks, canoes, and pedal boats. Fishing licenses can be purchased for state and base at the store. The staff was very accommodating and helpful. We will be back. Have stayed in approximately 40 military FamCamps from Hanscom AFB to Ft. Lewis to MacDill AFB to San Onofre at Camp Pendelton and this has to be the worst FamCamp I ever visited. Sites are not level and hookups are all over the place but where they should be. I was promised an open site when I made reservations the middle of March but was put in Ceder new with no explanation why I was under the umbrella of trees. The RV behind me had his front wheels over a foot in the air to get level. Others in the Cedar area were on lots of blocks to get level. Speed limit in Ceder is 5MPH while in Ceder New it is 10MPH. No wi-fi or CATV but plenty of ticks. If you like ticks and roughing it you will like it here. If visiting D.C. and the surrounding area and you only plan on sleeping in your RV it might be okay. I will gladly pay the going rate of about $50 a night at private campgrounds in the area before I would ever stay here again. 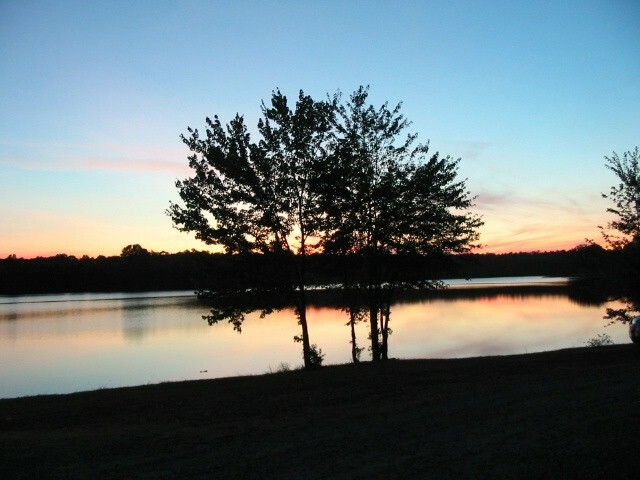 This was by far one of the nicest camp grounds we have stayed at. The sites are over sized. Most are on the lake, or have a decent view of the lake. Wildlife was all around. The location was amazingly close to DC but you would never know it. We took our 5th wheel so we used our own facilities for the most part. The bathrooms are pretty rustic, but that only added to the experience for us. Others may not agree. Keep in mind that not all the facilities are on the correct side of the site for a travel trailer. Many of the sites were made with Class A pullins in mind. So you may want to be sure you have a long enough sewer hose or electric hook-up. We have learned to travel prepared for such issues - so this was not a problem for us but would be for others not prepared, so that is why we gave it a 3 there. We were traveling North and stopped there on the way up, and on the way back. We enjoyed ourselves so much we cut our trip north short by 2 days to come back to Lunga Park. 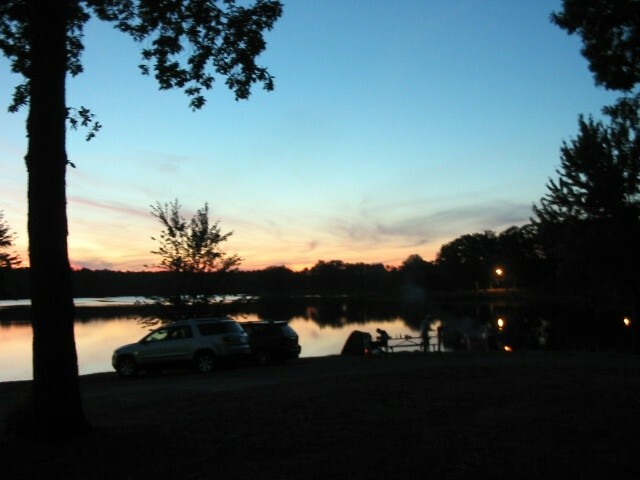 You can fish at the lake - which we loved. You have to have a state and Lunga Permit. Both of which you can get at the Walmart near-by or the MCX. The MCX was also one of the largest and nicest we have ever been to. DC is extremely easy to do if you ride the VRE, the Virginia Rail Express. Ask about it instead of driving your car into DC. The kids enjoyed that train ride. We can't wait to go back. Stayed on our way to summer home base. 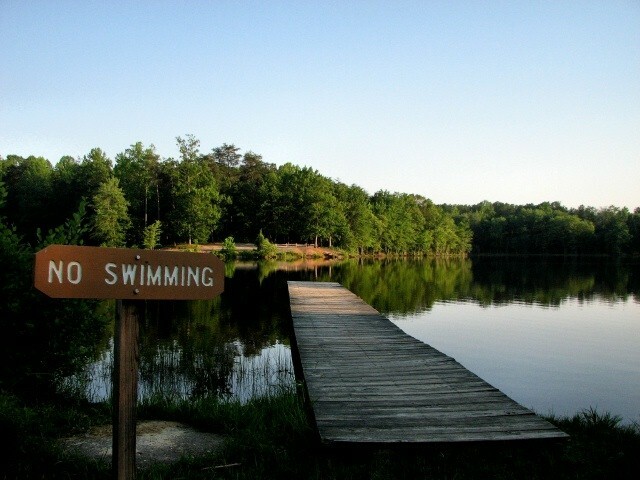 The lake is beautiful and the whole camping area is quiet...except for the occasional "sounds of freedom" training. The staff is helpful and friendly. The camping area itself is about 2 miles from the office, but that's okay. No fully functioning bahthouse (old-fashion outhouses) or laundry available, and the hook-ups are located weird..we lucked out by getting the "rare site" with them located on the correct side of the camper, hence the 3 on amenities/facilities. Be sure to have plenty of sewer hose, water hose, and a long electrical cord. We visited the Marine Corps National Museum...a must if you are in the area. The METRO is located about 22 miles from the campground, if you plan to visit the DC attractions when here. Will stay often when traveling the I-95. WOW, what a great place. My kids went to bed and woke up every morning with 10 deer by the RV. Our own Dock to fish from and was able to pull in an 18 inch Pike with a trout spinner first thing in the morning from. That's unheard of. Nice paths for some off road jogging or hiking and when I tell you that YOU will see deer... this is an understatement. We were able to rent and take the kids for their first boat ride and fishing experience. What a great lake and the people where as friendly as they come. The place is clean, friendly, hook-ups have to be navigated, but they are fantastic. If you are a TV cable person, you will be dissapointed. But with a fire pit, the lake and wildlife, who needs TV. It was Labor Day weekend, so we didn't hear any Boom Boom Boom's, but did hear lots of live firing from the range. Rescheduled to go back down in two weeks! The Cedar area ROCKS! I guess I don't understand why others rated it so highly. We obviously missed the "great staff" experience as the young girl that checked us in was discussing her personal life with a co-worker the whole time she waited on us. When I interrupted her to ask questions, she was friendly enough. We were in #2 in Cedar and it was one of the few campsites NOT on the lake. It was roomy enough but situated weird-we should have turned our trailer around to be facing the lake area. We enjoyed watching the plentiful deer in the area. The commissary and BX are nice sized. No diesel at the base gas station. Could only get a few stations with our antenna and they were worthless-either in another language or just plain weird. We heard big gun fire, but with the air conditioning running, we couldn't really hear it till we were outside the trailer. Hated having to do our laundry off base. DON'T make the mistake of going to the Taylor Coin Laundry that they mention in the brochure they give you at the office. There is no a/c and it's filthy and more washers/dryers DON'T work, than work. There was one street light outside our trailer but it never worked so it's pretty dark at night-I only mention this because someone noted that a streetlight annoyed them in their trailer at night. We have good "blackout" material in our bedroom area so that would never be a problem for us. They have a beautiful library on base and you can get a library card to check out up to 30 books and 5 DVDs for up to 30 days. The National USMC Museum is a MUST SEE! I don't know that we'll come back here, as Camp Meade in nearby MD is MUCH nicer. One of the best campgrounds I've stayed at in years. The setting and views are awesome. Staff are friendly and accommodating. 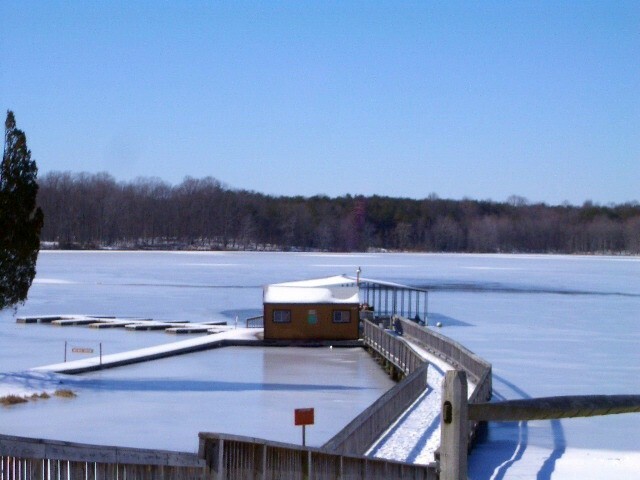 Only drawback was that the boathouse is closed on Mon & Tues. If you wish to rent a Kyack or canoe those days you are out of luck. Will certainly go back! This is probably the nicest Military CG I have stayed at to date. The whole CG is very well maintained, and the scenery is outstanding. We stayed in Cedar 8, and the views across the water are terrific. As mentioned earlier their is no shower facility, and only outhouse type restroom facilities. The Camp store is sort of small, but they do a brisk business with fishing licenses and renting boats, canoes and kyacks. 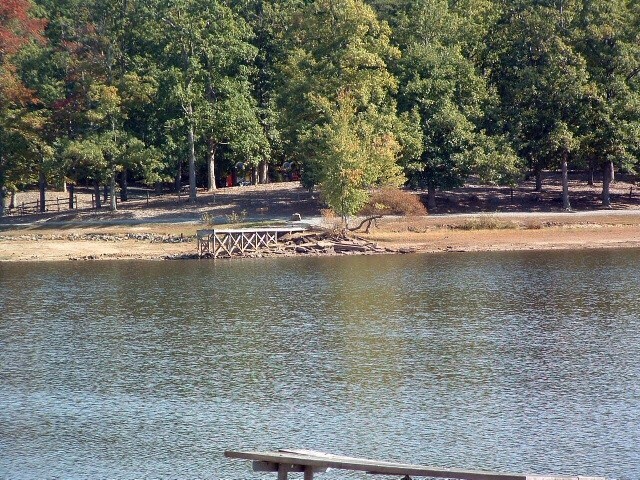 There are nice playgrounds for the kids in every section, and a very scenic nature trail that connects all the sections with the store/boat rental. We saw lots of wildlife while out walking, including deer, squirrels, and birds. The big gun fire only happened a few times Friday afternoon, and the only real problem we had with noise was a Saturday party across the cove at the Oak pavilion. It was kind of loud, but they shut down at a very reasonable hour. We will be back here again as soon as we can to try out the Pine section. Our first trip to Lunga. The staff was very friendly and receptive. We were in Oak which provided the most shade, privacy and unfortunately the most ticks. Other campers (regulars) said it was the worst they'd seen. The lake is beautiful and the watercraft rental rates were reasonable. Fishing was poor. Hiking was very good. The roads around the area were quiet and good for cycling. We saw lots of cyclist out riding. Our camp site was quiet and peaceful and we certainly had the feeling of being "out in the woods". On The down side our site had a street light over the 50 amp hook-up. When I asked the staff if it could be turned off, they said it could but I couldn't find any way to shut it off. On two occasions they offered to come out and help, but no one ever arrived. It was a bit annoying. Also, none of the camp areas have bath houses, only "out houses". We have a large motorhome so this didn't really affect us. The camp store has very limited supplies. But a well stocked commissary and exchange are about 10 miles away. We’ll definitely go back, take our bikes and hope for better fishing and less ticks. R.B. 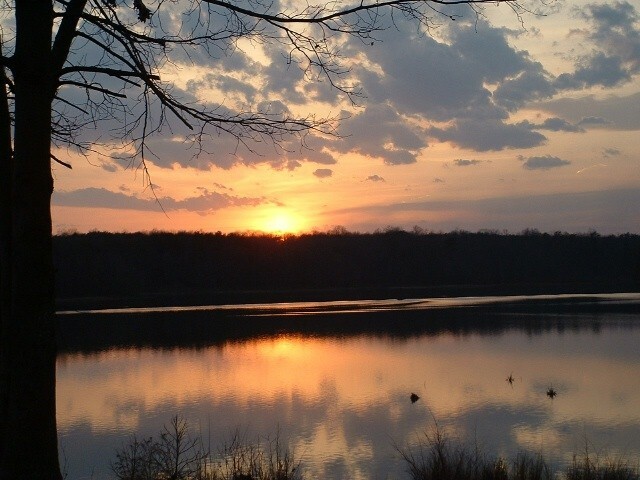 left this review using the Directory software: We were in Cedar 5 which some say is the best site for sunset and lake views. That is true. The downside is that a large motorhome cannot get level and poor utility location. As noted, the electric and water are on one side and the sewer is on the opposite side (they say sewer was randomly sited). I agree with that! We backed in at first but discovered you cannot get all the utilities so then we backed out and went in front first. That worked except the water had to be run under the RV to hook up. The front door is very high and the back cannot be lowered any more. Great views, but not great sites. We stayed here in the Cedar area twice (in the last 6 weeks) and loved it both times. The Cedar 6 site had full hookups (though oddly arranged) and had a great view of the lake. The full hookups were all taken on our second visit, so we stayed "Lakeside" at Cedar 8 with partial hookups and could have not asked for a better view! We literally stepped outside the door and there was a lake in our front yard!!! We have stayed in many places, and this ranks at or near the top! You have got to check out this place! You have to have a VA license and base permit for anywhere you fish on base, not just Lunga. They sell both at the store though so it's very convenient. Families walking their dogs, people running,fishing, it was nice to see people were taking advantage of this beautiful park and how friendly it is. Katie in the store was very helpful and nice and the men running the boats were too. The whole staff just seems to really care about their customers. Definitely a great family place to go!